In Topic: Your latest H!P order or purchase! Here's me unboxing my latest H!P order! In Topic: The Hello! 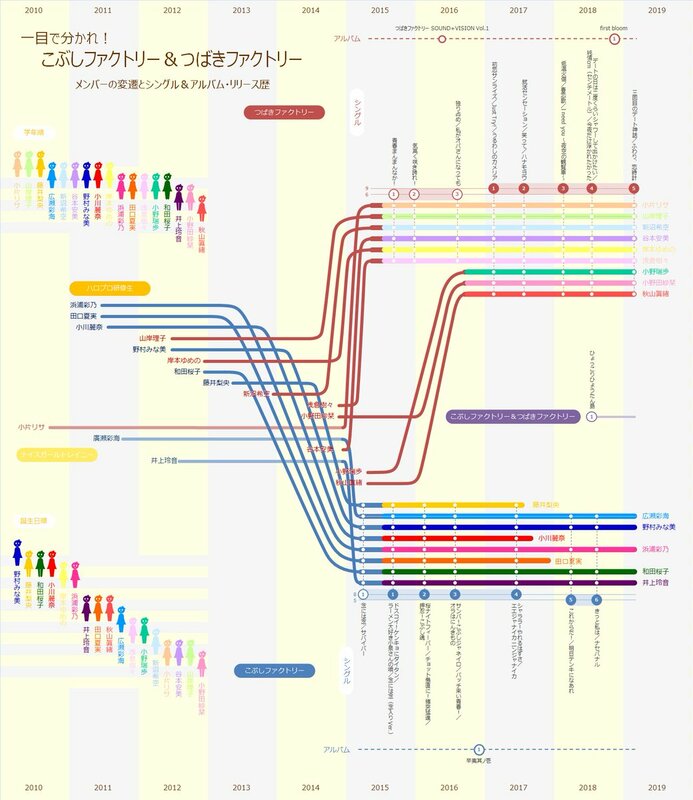 Project "Infographics"
^ Upon further research, it's the order of their birthdays by month! With Nomura being the first in February. Sorry for the triple post, but Utamurashima on Twitter has made another infographic! It was posted in January. It depicts Kobushi Factory & Tsubaki Factory along with their Kenshuusei tenures. It goes up until Tsubaki's 5th single. Super excited. I have a really good feeling about this audition. Something big is gonna change I can feel it. I neeeed to hear her Boogie Woogie LOVE solo from Hina Fes!